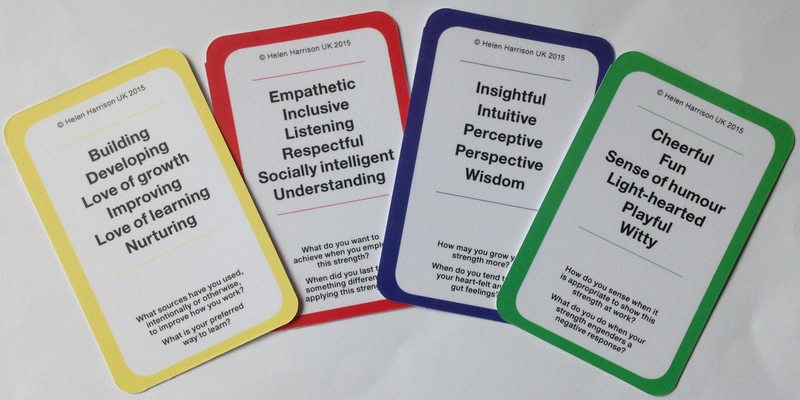 A wonder-full tool for working with STRENGTHS! Everyone has strengths – few people know which ones they possess. 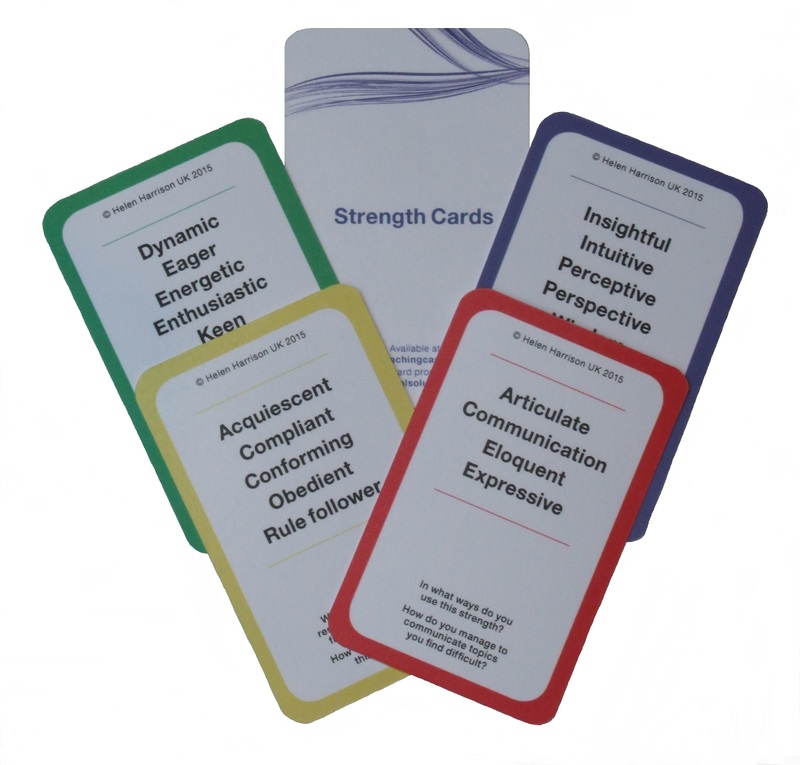 The STRENGTH cards provide you with a quick and easy way to find strength words that describe your strengths (from over 260 words). And over 90 questions to encourage further understanding about the strengths. The STRENGTH cards come with an invaluable handbook with background basics on strengths and ideas on how to use the cards. 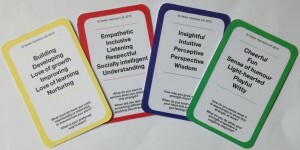 In addition, for those of you who are a consultant, coach and/or facilitator, you can easily have them with you wherever you go because they’re small, light and protected – this covers those times when strengths come up out of the blue. Finally there is no financial risk whatsoever, because of our 60-day no-quibble refund guarantee. CLICK HERE and buy some STRENGTH cards for yourself! The sooner you place your order, the sooner you’ll receive your cards. And the sooner you’ll be able to experience the great benefits from them!